If you are like many people, chances are that you will leave the details of car maintenance to the professionals, then take your car when you have issues. However, you do not need to – if you are skilled in the mechanics and working of the vehicle, you can maintain it yourself. The problem is when you try to seek the information, only to find scanty ones – yet you want to make it work. 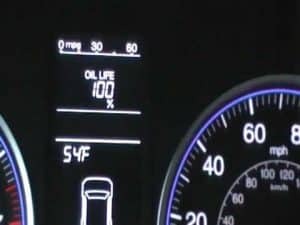 To do an oil life reset in your Honda, there are a few things you should know about the entire system. The major one is that it has a similar working mechanism to that of GM’s OLS – it monitors the type of use the vehicle has gone through, then uses the data to predict the quality of the motor oil. You may be aware of this, so the next question would be – how do you change the oil setting? This is through changing the oil in your car but read on to find how you can reset the life percentage setting. Just note that not all these tips may apply to all Honda cases, but they are more of a general rule you can use. Now that that is done, here are some things you should know about the system. What is the oil change reset system about? As a part of the Maintenance Minder system, the oil maintenance light is an important part. The oil life reset in your Honda was introduced by the com0pany in 2006, as a way to assist drivers to know when their cars need the scheduled maintenance. The system will operate by monitoring how your Honda is being used every day, then come up with times when the system needs to go for service. What are some of the factors that determine the engine oil life? There are numerous factors but divided into primary and secondary factors. The primary factors include trip durations, total mileage, engine load, engine temperature, engine speed, and vehicle speed. The scheduled maintenance as a general rule is 5,000 miles. 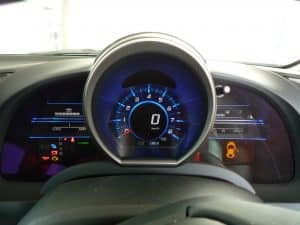 If the engine maintenance light comes on before you reach this mileage, the Maintenance Minder will predict the breakdown times of the additives in the engine oil, basing the results on the engine condition and car use. The specific steps that allow you to change the oil maintenance settings will be different in slight ways depending on the model, so ensure you consult the manual for the exact directions. Here is why resetting the oil setting is important: when you replace the engine oil yet fail to reset the system sensor, the system will continually display incorrect information that leads to very expensive repairs and mechanical issues. The good news is resetting the monitor is easier than you may think. Maintain hold on the knob indicated TRIP (this is located inside the instrument panel) until the engine oil life option shows up. Continue holding the knob, until you notice blinking in the display area. This will likely take ten seconds or more of holding. Continue holding the knob, then the display should change to 100%. Turn the key in your ignition. It should turn on, but without turning on the engine. Alternatively, you can press the push button twice without turning the brake pedal. The result should be that some of the cars feature coming on, but the engine should still be off. Press the TRIP knob again until it becomes 100%. Turn the key in the ignition until it comes on, without switching on the engine, or you can press the Push Button twice while leaving the brake pedal alone. In both instances, the engine should remain off, even though some features will light up. On the steering wheel of the Honda Civic, locate the ‘INFO’ button. Press it several times and observe the display until a wrenching image pops up. After this, press a button indicated ‘Enter’ on the display until the oil life section appears. To activate the reset mode, hold the ‘Enter’ button. A menu will appear on the screen, so choose the ‘All due items’ option. Select ‘Enter’ again to set the percentage as 100%. While changing the oil system readings in your Honda may seem like a difficult process, it is not that hard when you think about it – plus, it helps your car run as efficiently as possible in the long term.